Recently the European Union has taken the lead in addressing climate change. It has in a number of communications, resolutions and conclusionsproposed far reaching commitments to reduce emissions to contain temperature increases below 2°C1. To attain this objective meansfirst substantial reductions in GHG by developed countries immediately with a target of 30 percent reduction by 2020 by comparisonto 1990s levels. Second, it means a simultaneous reduction in growth of GHG in developing countries followed by an absolutereduction in GHG by 2020 the objective being a 50 percent reduction of GHG by 2050 for developing countries and a 70 percentreduction for developed countries by the same date. Third, it means a halt to deforestation with the next two decades andreforestation thereafter. These conclusions stem from the report compiled by Sir Stern in 2006 in which the cost benefitanalysis of action versus inaction in facing climate change favoured action with benefits in terms of energy security,innovation and resulting increased competitiveness and health from lower atmospheric pollution. The EU is also the world’s largest official development assistance provider and a leader in global efforts to reduce poverty. There are strong links between climate change and poverty reduction. These have been addressed as early as 20022. They are confirmed regularly. The conclusions of the Intergovernmental Panel on Climate Change3 are alarming.Not so much in its first and second conclusions that state that climate change is happening and thatit is the result of human activity leading to the emission of greenhouse gases into the atmosphere.But in the third that emphasize that climate change will affect all of us but more so those in thedeveloping world. Not surprisingly though given the lack of infrastructure and resources availableto developing countries and their location which often exposed them to the worst of climates. It is thus anticipated that Least Developed Countries4 (« LDCs ») and other vulnerable developingcountries will be hit earliest and hardest by climate changes. As stated above, these countrieshave little in way of resources to prepare and will struggle to adapt their way of living to thenew conditions and the extra level of insecurity that they create. The survival of millions ofpeople is at stake. Climate change is therefore likely to further delay the achievement of the « Millennium Development Goals »5 in many ofthese countries and in the rest of the world since « respect for nature » is one of the fundamental values consideredto be essential to international relations in the twenty-first century. Human action seems to once more contradicthuman goals. Reacting to this, the European Commission has decided to establish a Global Climate Change Alliance (« GCCA »). Thiswill be a partnership between the EU and developing countries. A Communication from the European Commission outliningthe GCCA will be available by mid September. A full plan of action will be proposed by the end of the year. The GCCA will be a platform for reflexion, dialogue and common actions to promote a shared vision between the EuropeanUnion and LDCs with a view to influence the post-Kyoto6 negotiations for a post-20127 international climate change regime and to jointly develop solutions on climate change. In addition, the GCCA will aim at becoming a major instrument of technical and financial support to LDCs in their effortsto implement measures aimed at disaster risk reduction, emergency reliefs, curbing deforestation and participating inthe Clean Development Mechanism8. The GCCA will also take the form of partnership agreements where the parties will commit to specific targets interms of GHG growth reduction for the LCDs and GHG reductions for the EU. However, in the present context of « I won’t move until you move »this may prove difficult, especially given the current funding levels for the project. The initial funding for the GCCA will come from the European Commission. The institution has pledged €50 million.However, Member States will also be expected to contribute to the GCCA and give it the means to become a meaningful instrument inthe face of climate change. Could EU action be more targeted/efficient? It should be noted that the reason for the creation of GCCA is questionable. An organisation such as « The Future International Actionon Climate Change Network »9 and already sponsored by the European Commission is well suited to integrate the GCCA idea if itdoes not already do so. It states that its purpose is to « provide an interactive platform for discussion on future internationalaction on climate change, including approaches of a post-2012 commitment regime under the UNFCCC and the Kyoto Protocol ». Itis important given the current time pressure, the objective of limiting GHG emissions and the increased costs/benefit analysesto also try and limit the creation of a myriad entities and organisations whose functions and role are similar. 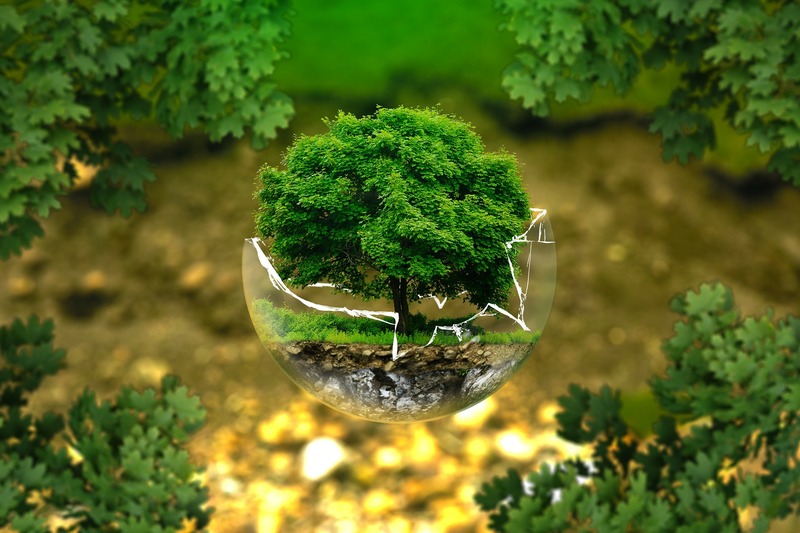 The world is bustling with well meaning organisations that seek to promote the environment, but concrete actions of the dimensionsthat would be necessary to make a difference lag behind. Meanwhile, everyone is looking at everyone. Consumers are targeted. Air travellers more so by « environmentalists » that believe theflawed carbon footprints calculators that they have used on numerous websites10. Desperation and panic are polluting the atmosphere. The reason why concrete actions are difficult in the present context is that there is little communication on how exactly countriesare supposed to improve their emissions, how their efforts will be measured and what the compensation will be. Further conflicts ofinterest run high. Fossil energy producing states enjoy immense riches. Growth in many developing economies is high and the standardof living for many has improved. Only those for whom growth is limited seem interested in the environment and climate change.The EU has decided that it would act alone if necessary. But it will not be enough to curtail the worst predictions on climate change. General goals have been defined but apart from shutting down economies there are not many suggestions on significant actions tobe undertaken, the ways to measure results and reward the virtuous. 1 – See European Commission Communication, Limiting Global Climate Change to 2°C: The Way Ahead for 2020 and Beyond,COM (2007) 2, 10.1.07. See European Commission Communication, the battle against global climate change COM (2005) 35,21.5.05. See European Council Presidency Conclusions, 7224/07, 8 and 9.3.07. See also Council (Environment) Conclusions,EU objectives for the further development of the international climate regime beyond 2012, 6621/07, 21.2.07 atst06621.en07.pdf. See EuropeanParliament Resolution on Winning the Battle Against Global Climate Change (2005), 20.10.05. 2 – See European Commission Communication, Toward a global partnership on sustainable development,COM (2002) 82 Final, 13.2.02. See also European Commission Communication, Climate Change in the Context ofDevelopment Cooperation, COM (2003) 85, 11.3.03 and Council Conclusions, Climate change in the Context ofDevelopment Cooperation, (15164/04), 24.11.04. 4 – See the list of Least Developed Countries at www.un.org/special-rep/ohrlls/ldc/list.htm. 6 – Kyoto Protocol to the United Nations Framework Convention on Climate Change and to the application procedures for its implementation adopted at theConferences of the Parties in Bonn (July 2001), Marrakech (November 2001), New Delhi (October and November 2002), Milan (December 2003)and Buenos Aires (December 2004). The EU ratified the Kyoto Protocol through Council Decision of April 25, 2002 relative to the adoption,in the name of the European Community, of the Kyoto Protocol, JO L 130, 15.5.2002, P.1. 7 – The Kyoto Protocol establishes that negotiations for emission reduction commitments for the period after 2012 started in 2005. 8 – Article 12 of the Kyoto Protocol defines the clean development mechanism. « The purpose of the clean development mechanism shall beto assist Parties not included in Annex I in achieving sustainable development and in contributing to the ultimate objective of theConvention, and to assist Parties included in Annex I in achieving compliance with their quantified emission limitation and reductioncommitments under article 3 ». See cdm.unfccc.int/index.html. 9 – See fiacc.net. The network also provides an extensive bibliography on climate change. 10 – Has anyone noticed that the calculators do not identify the formula used in calculating carbon footprints and that just as an examplethey systematically failed to differentiate between private jets and commercial planes, economy seating and business/first class. Basically,they do not distinguish between an elephant footprint and a mouse one.